At Premier Cars, we believe it should be easy to book your taxi, no need to ring and book. 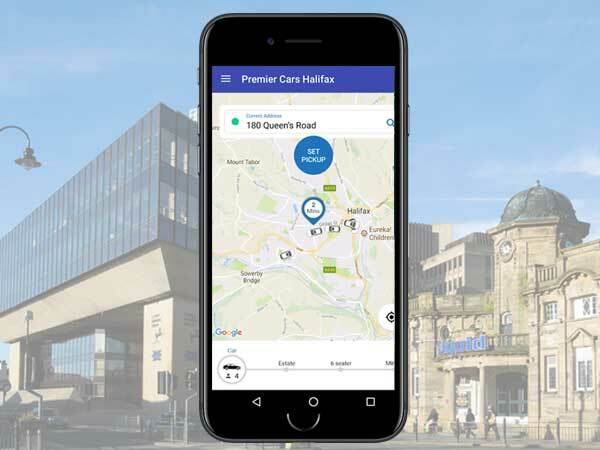 With our convenient and easy to use App, you can book your Halifax taxi with us, wherever you are and whenever you like. The esy to use Premier Car App with the ability to track your car in ‘real time’, no phone call required. You will receive push notifications on your job status keeping you up to date on the progress of your booking. Booking is easy with the option of selecting your map position or simply typing in a street name or postcode. We lead, others follow.